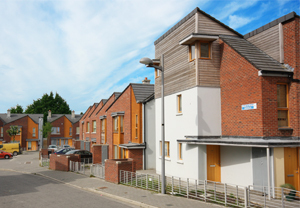 Rockfield & Riversdale is a major mixed-use development located along the alignment of Dublin’s Green LUAS line. 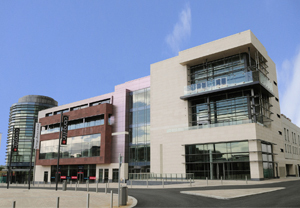 The scheme includes 7,700m² of office and retail space, 388 residential units and a two-level 475 space basement carpark, serving the LUAS Balally stop, which is at the heart of the scheme. 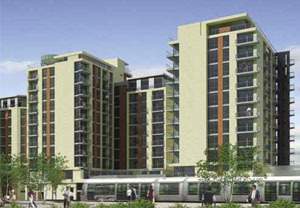 The three offices and retail buildings are clustered around the light rail station, with two of the buildings spanning the rail cutting. Apartments are in eight separate six-storey buildings in a beautifully landscaped park-setting around the commercial buildings. The project included provision of extensive infrastructure for the light rail system, bridges over the rail alignment, large retaining structures and river diversion works. 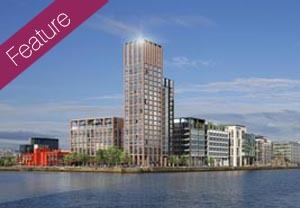 Our Waterman Moylan team was appointed to provide civil and structural engineering services for the project.